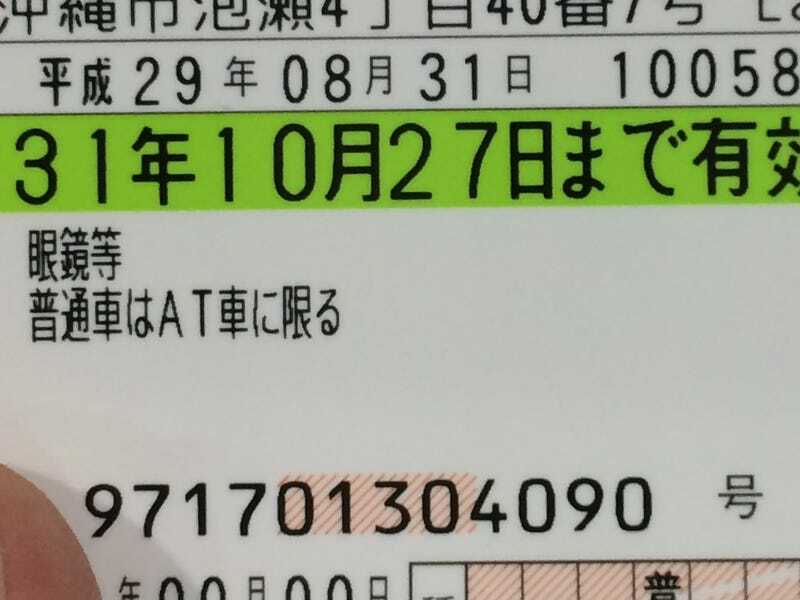 Last month the Okinawa police decided my international license was close enough to expiring that they would let me take the exam for a Japanese driving license. During the paperwork I was informed repeatedly that I would fail the first time I took the driving portion of the test, but not to worry about the written portion as no one fails it. Indeed, the written was 10 true or false questions which were obvious. Questions like: There is an officer directing traffic at an intersection. He tells you to proceed, but the signal is red. It is ok for you to proceed. True or false. When I arrived for the driving exam I met a number of other English speaking foreigners. Some of these people were taking the exam for the 5th (even 6th) time. While we were waiting for our turns we were discussing the whole process, and everyone knew that it was a guaranteed fail. Though I was told there was one possible exception - cute single university students who were female could pass on their first try if they didn’t hit any curbs. When my turn came on the course I did everything fine, the instructor complimented me on my driving ability and told me I did not pass. He gave me 5 reasons of which only 1 was legitimate (I didn’t signal for a left hand turn until after I passed the major intersection on the course, and he was clear that it needed to be 30 meters prior regardless of what intersections were up ahead. So 1st test out of the way. I didn’t feel any pressure then, but when I arrived on the 25th for the 2nd driving exam I felt some pressure. If I failed this time it was because I actually did make mistakes. Then listed out the 5 counters I would have to visit to pick up my license. 2-6-2-10-13. Well, everything went smoothly until counter 10 where I was reminded that I had signed a paper stating that even if I passed my exams before August 31st I would not pick my license up until August 31st. On the 31st I went back in to counter 10. They sent me to counter 13 who sent me for a photo (I assume my previous photo had expired due to the length of time this whole process took. The original photo they had attached was from my first visit in April when they started my file and told me to come back in August). I was then handed a slip of paper to take back to counter 10. After about 10 minutes I was given my license and a copy of the basic rules for driving in Japan (this is the first time I was given the basic rules of the road for Japan), and told to proceed to counter 2. It seems they needed a copy of my driving license for my motorcycle license paperwork. And with that I had my AT Japanese driver’s license.